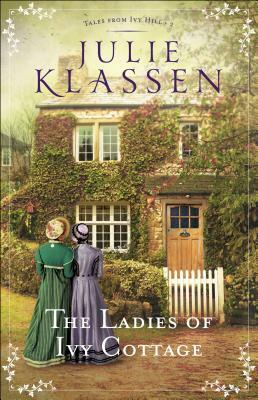 Bethany House Publishers, 9780764218163, 448pp. Return to Ivy Hill in The Ladies of Ivy Cottage as friendships deepen, romances blossom, and mysteries unfold. Living with the two Miss Groves in Ivy Cottage, impoverished gentlewoman Rachel Ashford is determined to earn her own livelihood . . . somehow. When the village women encourage her to open a subscription library with the many books she has inherited or acquired through donations, Rachel discovers two mysteries hidden among them. A man who once broke her heart helps her search for clues, but will both find more than they bargained for? Rachel's friend and hostess, Mercy Grove, has given up thoughts of suitors and fills her days managing her girls' school. So when several men take an interest in Ivy Cottage, she assumes pretty Miss Ashford is the cause. Exactly what--or who--has captured each man's attention? The truth may surprise them all. Meanwhile, life has improved at the coaching inn and Jane Bell is ready to put grief behind her. Now if only the man she misses would return--but where is he? As the women of Ivy Hill search for answers about the past and hope for the future, might they find love along the way? Julie Klassen is a graduate of the University of Illinois. She worked in publishing for 16 years and now writes full time. Three of her books have won the Christy Award for Historical Romance. Julie has also won the Minnesota Book Award, Christian Retailing's BEST Award, the Midwest Book Award, and has been a finalist in the Romance Writers of America's RITA Awards and ACFW's Carol Awards. Julie and her husband have two sons and live in St. Paul, Minnesota. For more information, visit www.julieklassen.com.